Took some new pictures this week. Enjoy! Those are crazy colours, I wanted to ask you how high above your tank are your T-5's suspended, and do you spot feed all of your acans. I didn't measure. I'm guessing 18". I do spot feed once a week if I have time. Still same tube combo Darrell? I'm running 4x blue plus, one purple plus one pure actinic... not got the pop I'd like yet.. Yes, except now I have 8 bulb, so I run 2 bulb blue plus for 1.5 hours before and after the 6 bulbs. Trying to conserve on electricity. 6 bulbs being 2 more blue plus, one purple one actinic? 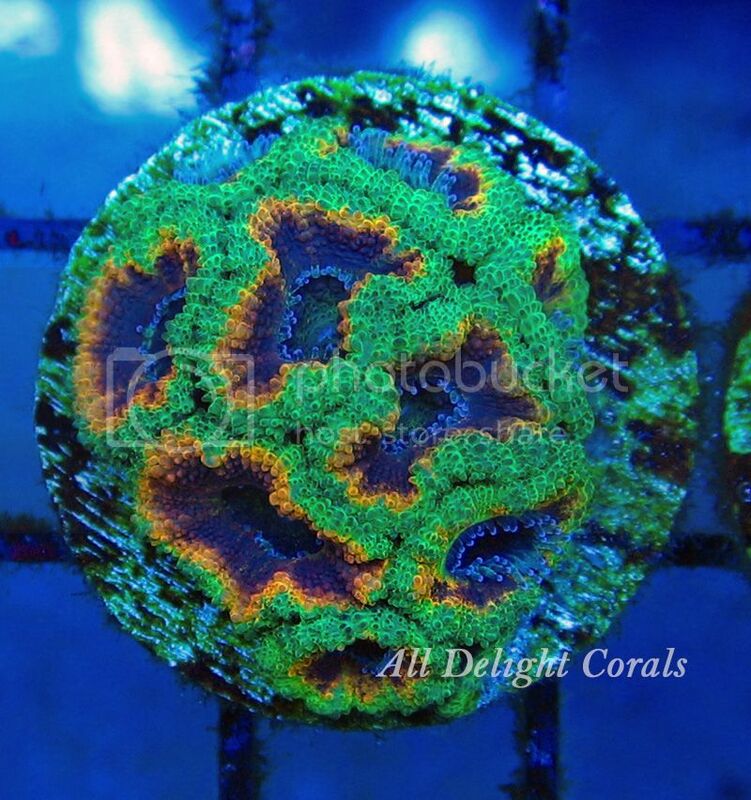 These are fantastic acans. Great colour, well done! 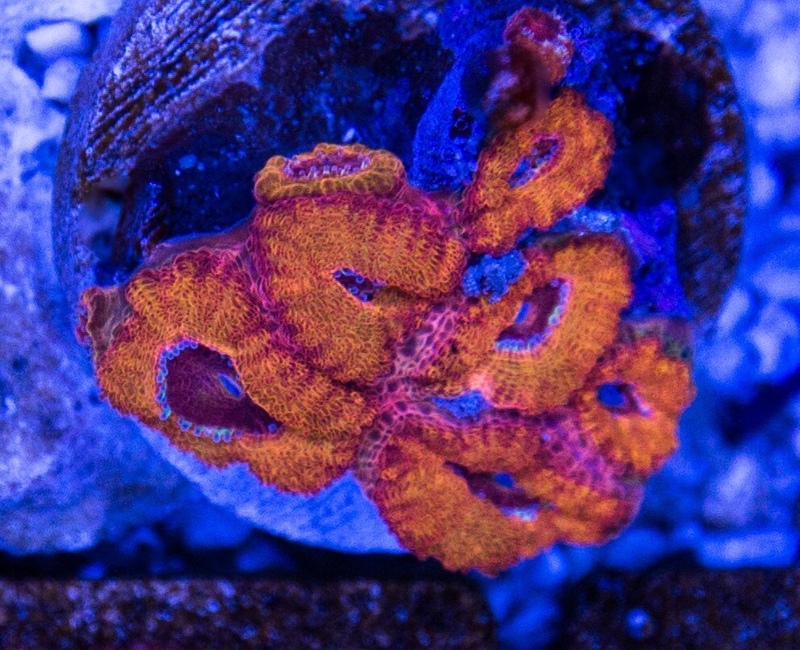 Do you keep your acans on the sand or do they maintain colours just fine on the frag racks? 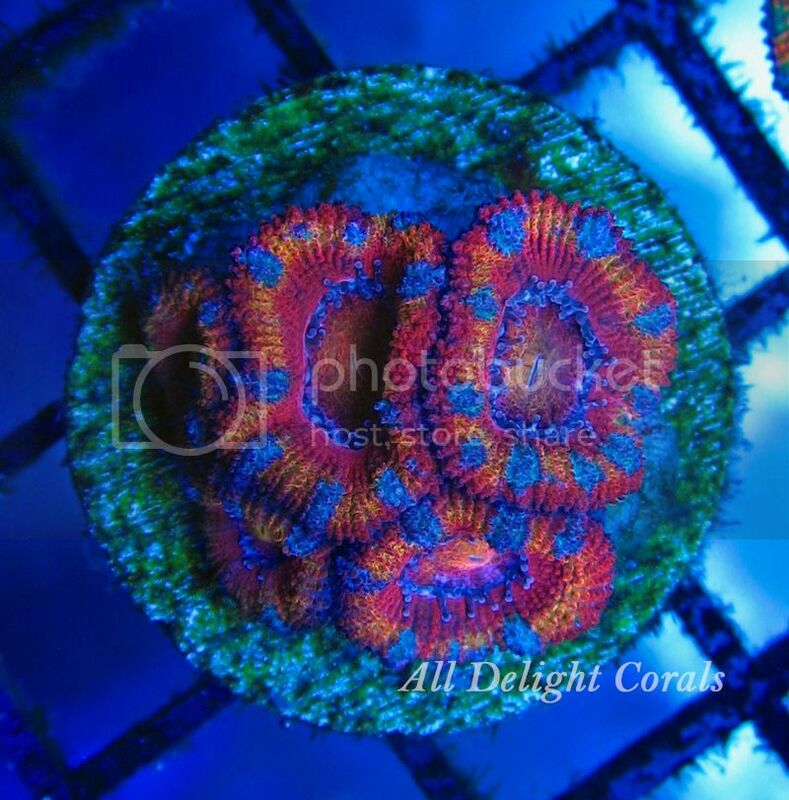 Stumble on this thread and these acans are absolute stunning! 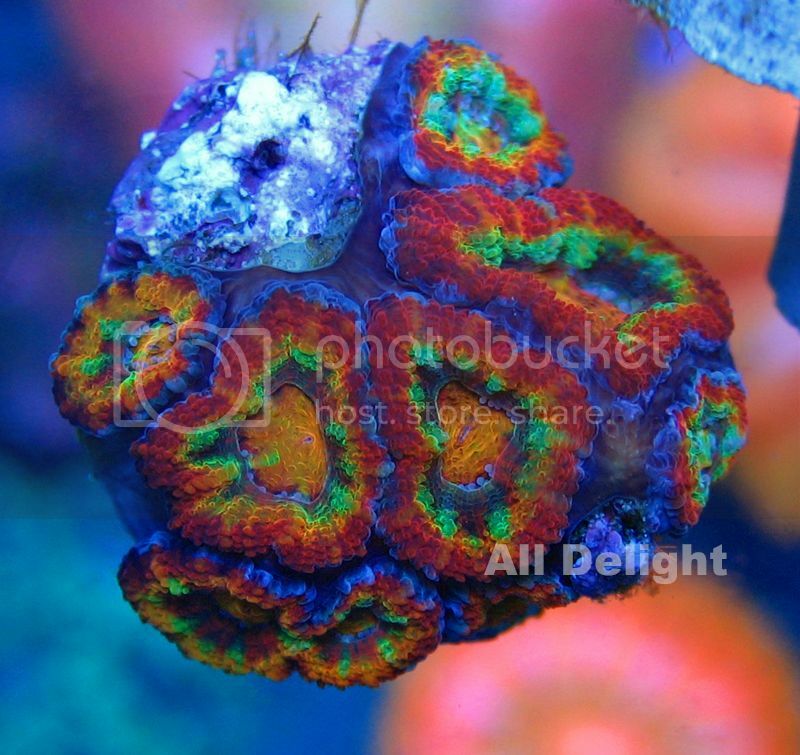 Its official after these photos I'm getting an acan. 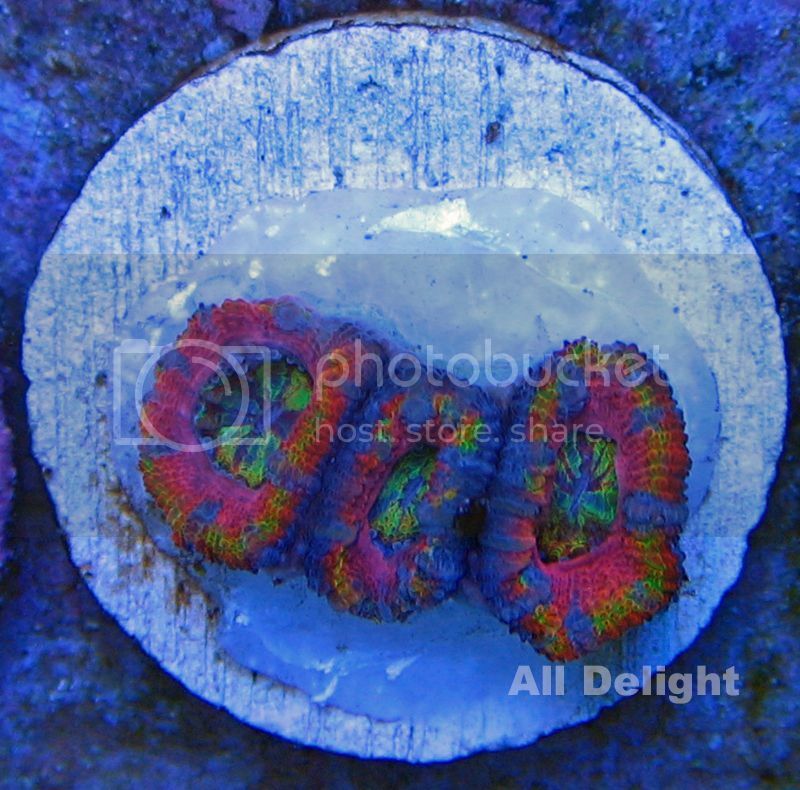 I've always seen them in my local aquarium shoppe they're cool. 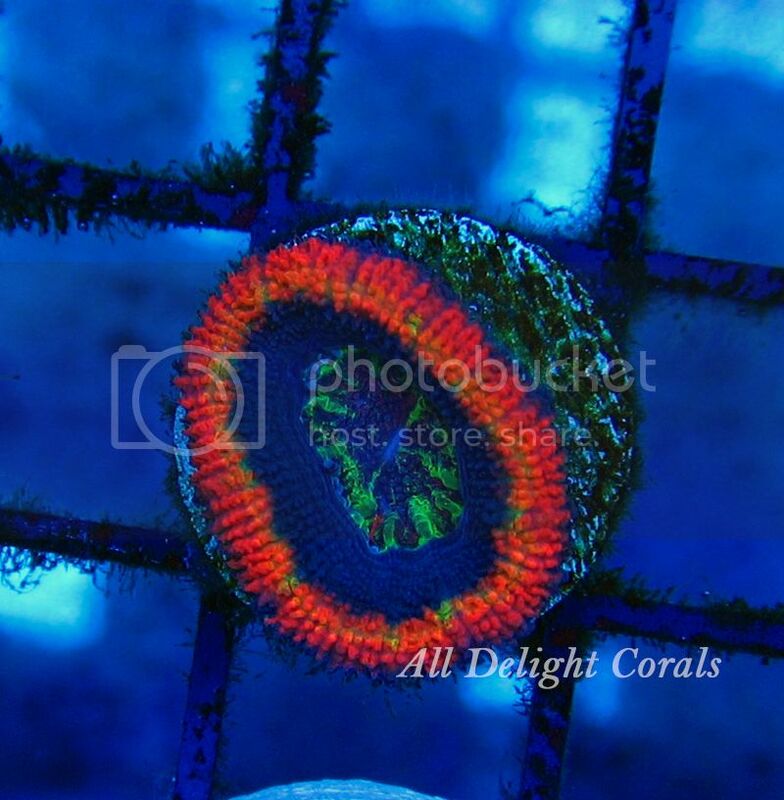 By far my favorite coral. But for the life of me I cannot keep them alive in this tank. 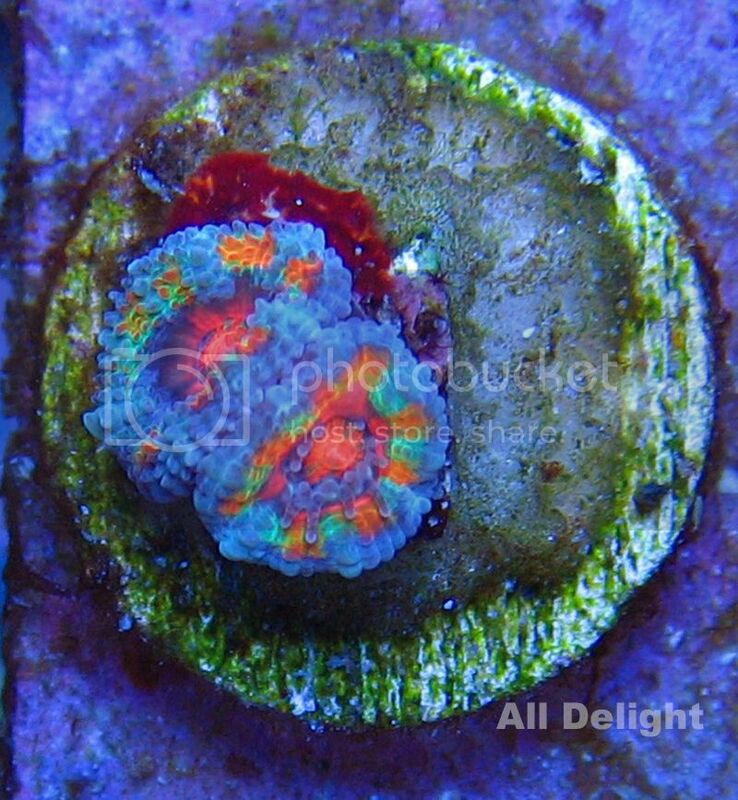 Any other coral thrives in my tank, just cannot keep acans. I feed them twice a week a mix of LRS, PE mysis, and some reef chili. I'm running T5's, with very stable parameters. I've tried them on my rockwork, and on the sand. They just wither away. 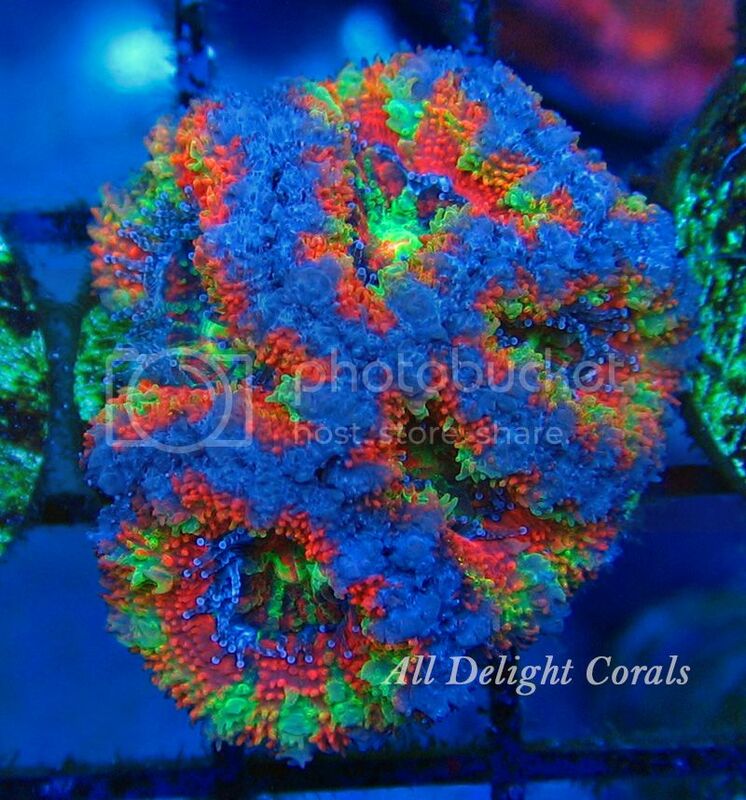 Any idea's from someone who has obvious success with this coral? I've been told that acans seem to like the alkalinity in a system to be between 8.5 and 9 dkh. I have recently raised the alkalinity in my system to 8.2 from 7.5 and the acans seem to be doing better. I have always run my tank at 8.5, same result. Only recently did I let it slide down to 7.5 because of the low nutrient level thinking this may be the cause. But alas it still happens. They start out great, then within a couple months they start to wither away until they die completely. 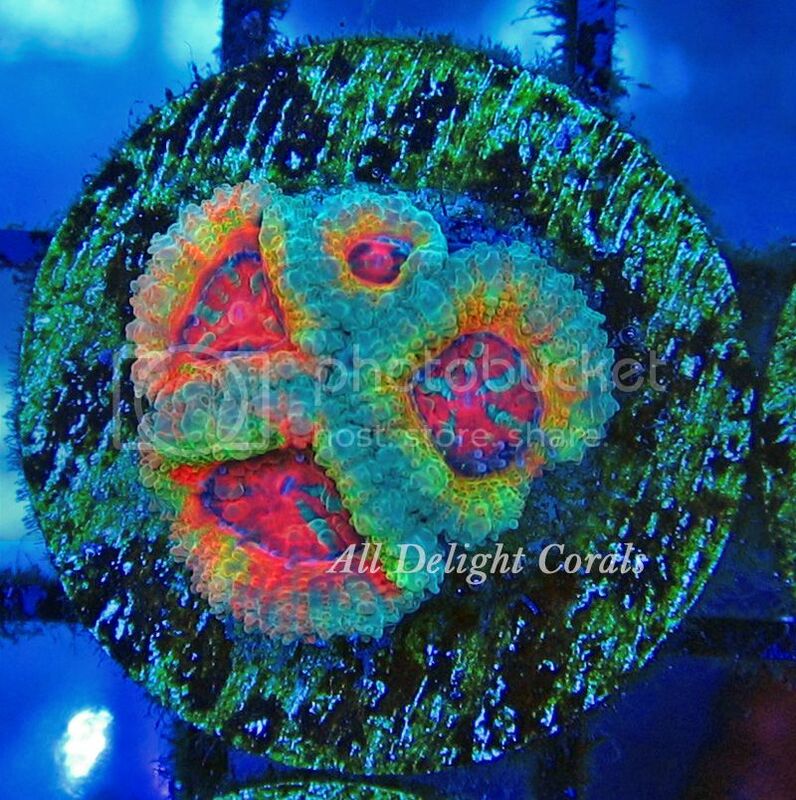 When I had a biocube, any acan I bought thrived and grew. Moved to this tank(90G cube) 2 years ago, and can't keep them alive for the life of me. Didn't mean to hijack the thread, just thought someone who can obviously keep beautiful acans could spot something I'm not seeing. Same situation as me. Please let me know if you think you fixed this issue. Have you tried running the tank cooler? I run my tank at 76, used to be 75 and my acans basically become my water quality barometer along with one of my chalices. Puffy and baby heads sprouting. 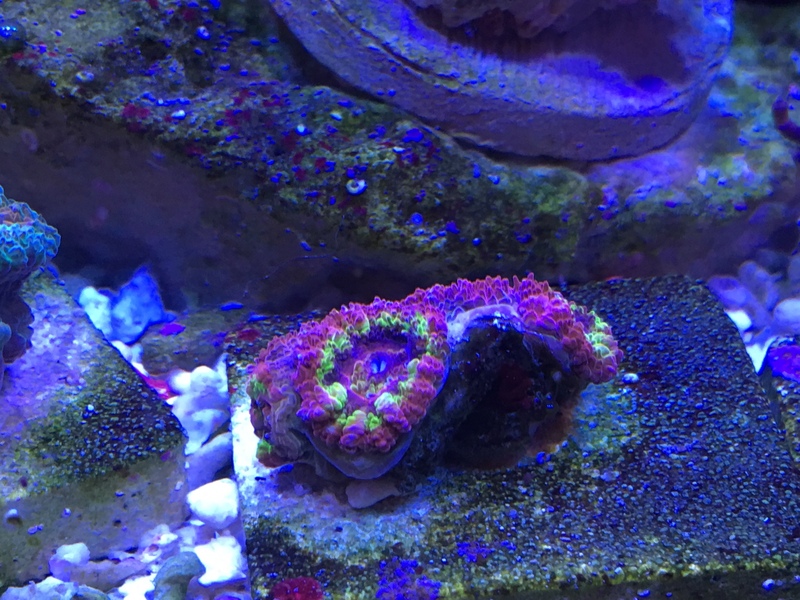 Had to move a colony because my RBTA split and one decided to move into the cave behind one of my acans and started to kill it.